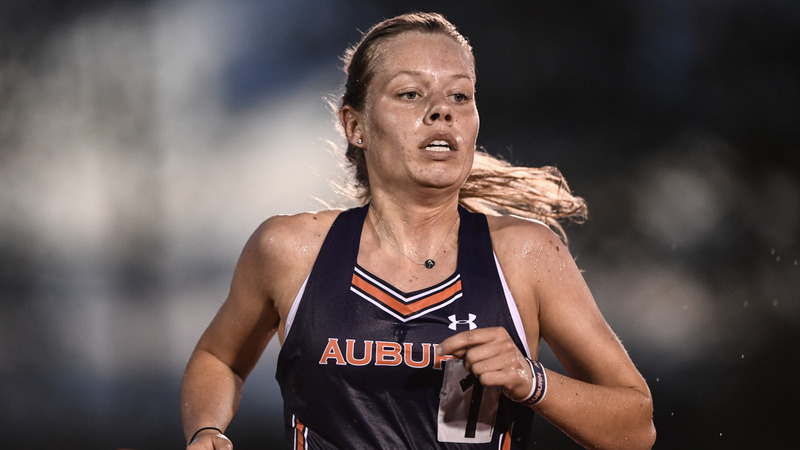 After competing for the University Kentucky for three years, Amy Hansen joined Auburn’s track team in 2018 while studying in Auburn University’s College of Veterinary Medicine. Amy Hansen traces her desire to become a veterinarian to her favorite childhood TV show. Amy’s love of athletics, specifically running, equaled her love of animals. 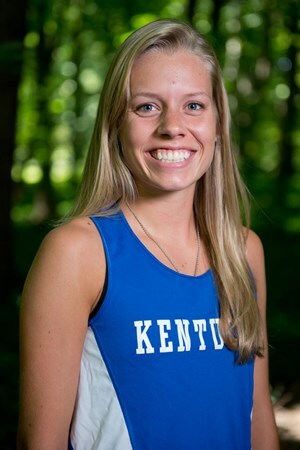 In high school in northern Kentucky, she began competing in steeplechase, a distance race in which runners must clear hurdles and water jumps, an event Hansen continued while studying animal sciences at the University of Kentucky. 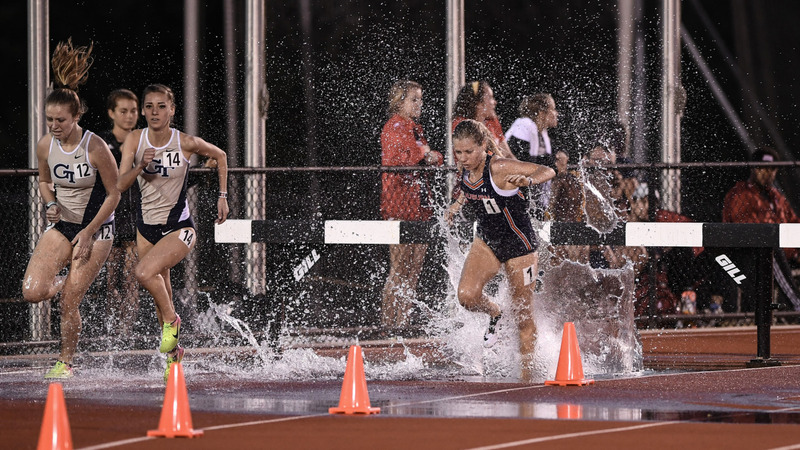 During the 3,000-meter (1.86 miles) race, the five barriers, including the water pit, keep Hansen focused during her 7.5 laps around the track. After graduating from Kentucky in 2017, Hansen enrolled in Auburn’s College of Veterinary Medicine With one season of outdoor eligibility remaining, she joined Auburn’s track and field team. “It’s been the smoothest transition I could have ever asked for,” she said. “It’s been incredible to be a part of the team. Every single person has been so welcoming and so nice. It feels like another family. It’s nice to have something separate other than school all the time. Amy Hansen, second from left, and students in small animal physical diagnosis class. Being in classes from 8 a.m.-5 p.m. each day makes training a challenge, especially for someone who runs 40-45 miles per week. 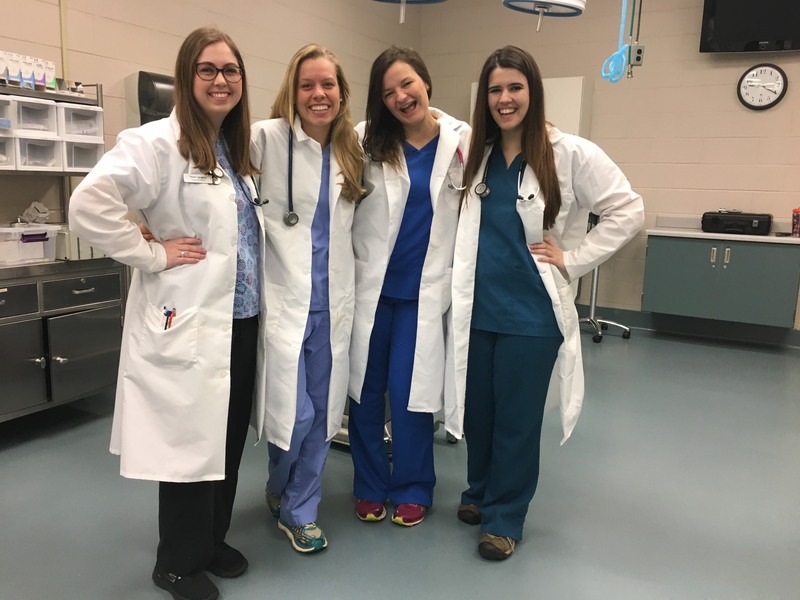 Since 1951, students from Kentucky have paid in-state tuition at Auburn University’s College of Veterinary Medicine, with Kentucky’s Council on Post-Secondary Education paying the difference through a contract with the Southern Regional Education Board. Growing up in Knoxville, Tennessee, before moving to Kentucky at age 14, Amy cheered for her hometown Volunteers before trading orange for Wildcat blue. On pace to graduate in 2021, Hansen says running inspired her interest in orthopedics and rehabilitation in veterinary medicine. With gratitude to Barnett, head track coach Ralph Spry and College of Veterinary Medicine associate dean Dr. Dan Givens for easing her transition to Auburn, Hansen completed her track career in the SEC Championships. in helping me get to where I am today—Dr. Givens, Coach Barnett, Coach Spry and my amazing friends and family who have always believed in me. Hansen’s faithful running companion, Murphy. 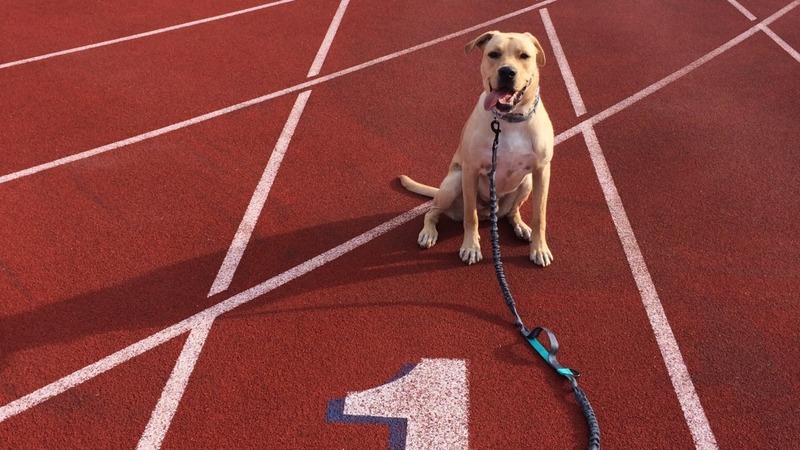 While she won’t be competing anymore, Amy will still be running, often with her “best four-legged running buddy,” Murphy. Wildcat. Tiger. Steeplechaser. In three years, Amy Hansen will be able to add another title. Veterinarian. Written by Jeff Shearer, a Senior Writer at AuburnTigers.com.